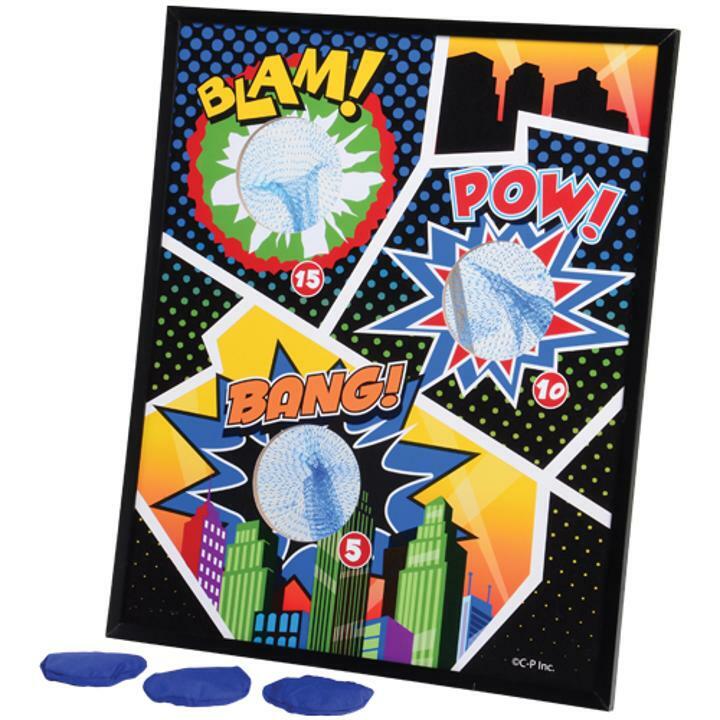 Master crime fighting skills with this comic book-themed bean bag toss. Be the first hero to score the most points by aiming for the pre-cut holes with the included lightweight bean bags. A great game for kids and adults alike at any superhero bash or school carnival. L: 17.0 in. W: 1.6 in. H: 20.6 in.